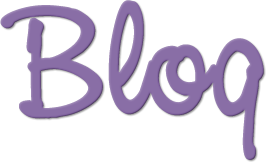 Luxurious, decadent, glamorous ? 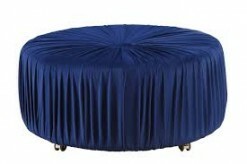 a lifestyle of decorative extravagance is within reach with the Jaunt Blue Round Ottoman. 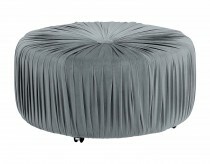 Velvet fabric is tufted with dramatic flair at the center of the round ottoman, punctuated with an eye-catching over-sized button. 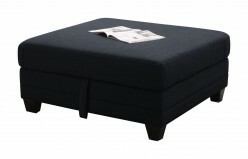 Offered in navy, blue and gray for perfect placement within your personal decorative scheme. 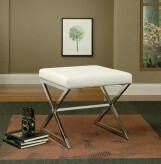 Casters allow for quick and easy movement around your space. 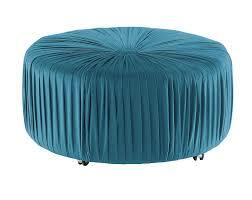 Furniture Nation is proud to offer the Jaunt Blue Round Ottoman online. We serve customers across the DFW region including Carrollton, North Richland Hills, Desoto and many more. Jaunt Blue Round Ottoman : L36" x D0.00" x H18"